Osteoporosis is a condition where the bones become brittle and break easily due to a loss of calcium. This is generally associated with age but, it is not limited to age. This just happens to be the age group that is most likely to get it. Anyone can develop it if they have too little calcium in the blood. People with diabetes are at risk and those with other conditions that affect calcium levels. There are ways to deal with this and prevent the condition. 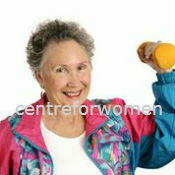 Preventing Osteoporosis is possible. Calcium supplements are a great way to ensure you are getting enough calcium. Twice a day chews are on the market now and are a great way to easily supplement yourself each day wherever you are. This is especially good if you are too busy to remember to take them in the morning. It is also a great way to ensure proper intake if you are not eating calcium-rich foods enough. Milk is one of the foods (yes it is a food) you can buy in organic form as well if you are worried about hormones. Milk is heavily fortified with calcium. If you are lactose intolerant, you can buy milk substitutes that are also fortified. Milk helps build strong bones for the preventing osteoporosis without much trouble. Adding some chocolate Ovaltine or other powdered milk additive can give you some added vitamins and makes milk taste delicious too. You could eat foods that are very fortified with calcium. This comes in green leafy vegetables like Kale and spinach. Any green leafy vegetation will carry a powerful amount of calcium and honestly they can be eaten each day. They also carry magnesium and other minerals which help to carry the calcium through the body without interruption. These greens can be bought organically as well if you are worried about pesticides. Mustard and collard greens are also a great source. Super foods are a great source of calcium. The loose definition of a super food is one which encompasses complete nutrition. In other words one food which has everything you need. Two of those foods are Chia Seeds and Hemp Seeds. Chia seeds are the same seeds you find on the “Chia Pet” that you may remember will yield sprouts on a clay animal shaped base. It was a popular novelty gift but it actually houses some powerful little seeds. They can be eaten in water, juice or smoothies. The hemp seeds are also the same with a complete source of protein and calcium for preventing Osteoporosis.